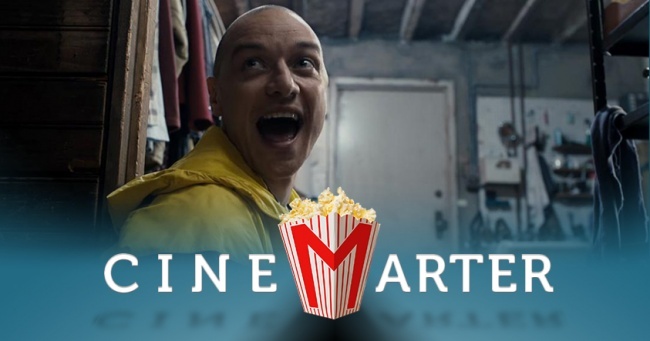 Split - Is M. Night Shyamalan Back? Directed and written by M. Night Shyamalan. Produced by M. Night Shyamalan, Jason Blum, and Marc Bienstock. Release date: January 20, 2017. Utter the name "M. Night Shyamalan" and you'll be met with either excitement or trepidation, depending on whether or not you first time travel to 2002 before doing so. Nowadays, after more than a decade of duds, seeing Shyamalan's name attached to a movie feels far more like a "stay away" sign than one that says "come hither." Some people liked The Visit, but I was not among them. I've heard good things about Split since it debuted at Fantastic Fest in September, but I was still hesitant to get excited. Turns out my hesitation was well placed, since Split is another Shyamalan failure. The story here is that three teenage girls (Anya Taylor-Joy, Haley Lu Richardson, and Jessica Sula) are kidnapped by a man (James McAvoy) and held captive in a basement, unaware of what he plans to do to them. Then he shows up dressed as a woman. Then he starts talking like a child. Eventually, they discover he has multiple personalities, and that two of the personalities have effectively taken over. The girls are going to be sacrificed to a hypothetical new personality, "The Beast." I don't know if the girls really find out all of that. The audience learns most of it thanks to cutaways to a psychiatrist, Dr. Fletcher (Betty Buckley), who is here to deliver exposition and almost nothing else. We learn that the man suffers from dissociative identity disorder (DID), that he has 23 different personalities, and that, apparently, the personalities can actually alter his physical makeup, making him stronger or weaker, faster or slower, depending on who's in charge at any given moment. Of course, that's not how the real world works - but this isn't the real world. In this universe, the film earlier establishes that this can happen - that a previously blind woman suffering from DID had a personality that could see. You can regard its authority on mental illness about the same as if you were being lectured to by a fish: not at all. It's also not speaking for all mental illness or saying that anyone who suffers from mental illness is like this - although I do get why people think it would further stigmatize something that's already tough to deal with. I understand if you aren't okay with it, and boycotting the movie is perfectly fine. It's just not where I'm going with it. Split is a movie that doesn't accomplish its main goals. It isn't scary or thrilling. I'll instead focus on how the screenplay gives us very little to work with. The three girls are very uninteresting, making it hard to care a whole lot about them - two of them disappear for extraordinarily long stretches of time, and the only one for whom we get any semblance of depth is the one played by Taylor-Joy - and the result of that is one spoilerific detail about her past. As such, we focus on James McAvoy's character, who is the villain. The various personalities all have different agendas, but the ones that dominate the screen want to awaken this Beast - and nothing more. That's just flat-out dull. The story doesn't help a whole lot. It doesn't evolve much beyond a waiting game until the climax, at which point it becomes silly, not scary. But while we're waiting for the Beast, any attempt at generating tension and suspense gets continuously stalled as we keep cutting back to the psychiatrist for exposition. Shyamalan has no clue how to organically explain the movie, so we have this character to do it for us. Any narrative, thematic, or atmospheric momentum gets stalled every time this happens. There's nothing scary or thrilling about Split, and this is a big reason why. 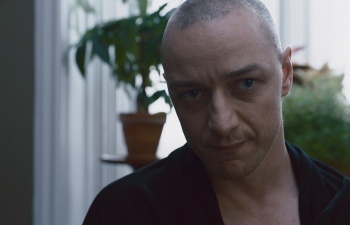 About the only great thing in Split is James McAvoy, who delivers such a strong performance that I almost want to recommend watching the film just for him. The range he shows here is incredible; if it wasn't being done in a January horror movie, it wouldn't be unreasonable to make a case for him being an Oscar contender. He's that good. He steals every scene he's in, and a noticeable drop in energy is felt every time he's no on the screen. 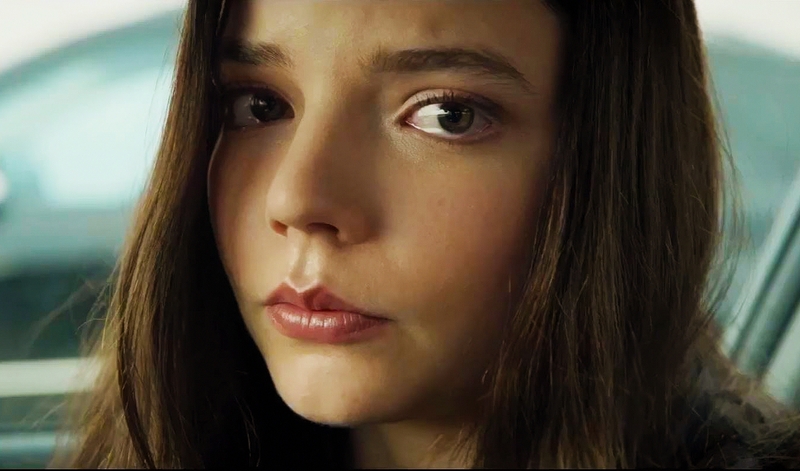 Anya Taylor-Joy is fine as the "main" girl - by virtue of having a bit of back story - but "fine" only gets you so far. The other two girls are non-entities. Betty Buckley delivers her exposition and then delivers more exposition, but appears indifferent about the whole thing. Shyamalan has a cameo as a maintenance guy who loves Hooters, so that's now a thing that exists. Split is a movie that doesn't accomplish its main goals. It isn't scary or thrilling. M. Night Shyamalan might still be able to be a good director, but he needs to divorce himself from his pen and focus on screenplays written by other people. These characters are far too lacking, and the story far too dull - with constant stalls in its forward momentum - to add up to anything good. James McAvoy tries his best to save it, but to no avail. Split is another Shyamalan failure. Bottom Line: Regardless of your views on the way it portrays the mentally ill, Split doesn't succeed at being a scary or thrilling movie. Recommendation: Maybe catch it on TV at some point in the future for McAvoy's performance.